At the time, it was clear that the IRS and the Department of Justice was going to take a substantial amount of time to actually implement what is a major change in the law. In short, the IRS has the power and obligation to notify the Secretary of State to (i) deny a U.S. citizen (the “Taxpayer”) a U.S. passport, or (ii) revoke or not renew a U.S. passport of the Taxpayer. The law is not clear as to what steps the Department of State will necessarily take in response to the notification. Now the administrative machine is in full force as the IRS has begun issuing special notices to restrict or ban a U.S. passport of the Taxpayer. See, IRS Notice – Notice 2018–01 and a dedicated portion of the IRS website that focuses on Section 7345 titled Revocation or Denial of Passport in Case of Certain Unpaid Taxes. The IRS has begun issuing notices required under the law for those Taxpayers who the IRS asserts have “seriously delinquent tax debt” as defined in the law – Taxpayer Notification – Notices CP 508C. If you have been certified to the Department of State by the Secretary of the Treasury as having a seriously delinquent tax debt, you cannot be issued a U.S. passport and your current U.S. passport may be revoked. Indeed, a key representative from the IRS personally told me in Washington D.C. this May that the first batch of Notices CP 508C were issued as sort of a test batch of notices. Surely, Taxpayers will be forced to litigate and challenge the validity of these. There are two different judicial remedies a Taxpayer who is a USC can choose; file a suit in either U.S. Tax Court or a U.S. District Court to determine the validity or erroneous nature of any particular Notice CP 508C. In addition, the IRS is now warning Taxpayers they may lose their passport in Notices of Intent to Levy. The following is sample text from a recent Notice from the IRS to a USC residing outside the U.S. It has been reported that tens of thousands of IRS Notices CP 508C have been issued to Taxpayers during 2018. It remains to be seen the actual numbers of U.S. passports that will be revoked or denied by the Department of State upon receiving notice from the Secretary of Treasury (which notice is certified by the Commissioner of the Internal Revenue Service). Generally, it will be the IRS Chief Counsel lawyers who litigate these issues before the U.S. Tax Court and the Department of Justice, Tax Division lawyers who litigate before the U.S. District Courts. This entry was posted in Revocation or Denial of U.S. Passports, Social Security Tax Considerations, Tax Compliance. Why a non-U.S. citizen may wish to be a U.S. income tax resident (“U.S. person”). Sound like a non-sequitur? U.S. individual taxpayers typically have complex tax rules and reporting requirements, even for simple scenarios, such as a nurse or school teacher working in a particular country. They have to know and understand how to file returns and how to file various forms, such as IRS Form 2555: Foreign-Earned Income Exclusion, Housing Exclusion, and Housing Deduction. See, The Foreign Earned Income Exclusion is Only Available If a U.S. Income Tax Return is Filed. Every year, the compliance costs of living outside the U.S. to pay competent professional U.S. tax advisers to avoid penalties will typically be relatively very expensive. The Bank Secrecy Act (BSA), imposes detailed bank account information be reported annually, including account numbers, addresses, etc. by any “U.S. person” who has potential incidence of ownership or control over a minimum threshold of assets in foreign accounts (US$10,000). See, Nuances of FBAR – Foreign Bank Account Report Filings – for USCs and LPRs living outside the U.S. The penalties for not complying with these BSA rules are typically a minimum of US$10,000 per violation, or 50% of the account balance (or over 100% in some cases; see Why the Zwerner FBAR Case is Probably a Pyrrhic Victory for the Government – for USCs and LPRs Living Outside the U.S. (Part II)). The stakes can be very high. Plus, those who are married to a non-U.S. citizen have to review and understand in detail the laws of their country of residence, regarding property rights of spouses, whether a spouse is a manager or officer of a foreign company, general and special powers of attorney – such as health care powers of attorney, etc., to know if one has a “financial interest” in such foreign accounts, even if they actually have no signature authority over any foreign accounts. The law is obligatory in how these definitions broadly include many persons who are not aware of how they can apply. See, FOREIGN BANK ACCOUNT REPORTS – 2011 REGULATIONS EXTEND RULES TO MANY UNAWARE PERSONS, published in the International Tax Journal. Managers of companies and other legal entities that have an account around the world, may also fall into these unwary traps. As someone who advises multiple clients before the IRS on FBAR penalties, I have seen many cases where the government will take an approach of levying significant FBAR civil penalties in particular cases, depending upon how the case is handled, the particular facts and who is the IRS revenue agent and their manager. Now to the point of this post. Notwithstanding all of the above considerations, some individuals may find it advantageous to be a “U.S. person” for U.S. federal income tax purposes. See, Section 7701(a)(30) which uses the technical term “U.S. person” and not a U.S. income tax resident. If a non-U.S. citizen lives predominantly overseas, they nevertheless can elect to be treated as a U.S. person if they spend at least 31 days in the U.S. during that particular calender year and meet other requirements. Section 7701(b)(4). Why would an individual prefer to be a U.S. person for U.S. federal income tax purposes, even if they spend little time in the U.S.? There could be several reasons. An individual may wish to contribute to the Social Security taxation system to become fully vested for future Social Security payments. See, Why vested Social Security Retirement Benefits are not lost when a USC or LPR sheds their citizenship or immigration status. The Answer to: What happens to social security benefits to former USCs and LPRS including a “covered expatriate”? If the non-citizen has a U.S. citizen spouse, they may have a better overall U.S. income tax result (i.e., lower federal income taxes) by filing married filing jointly? If U.S. real estate is owned by the non-U.S. citizen, there may be a better overall U.S. income tax result (i.e., no FIRPTA withholding taxes) by filing as a resident alien. See, U.S. Tax Implications of Foreign Investment in U.S. Real Estate. If the non-citizen has no significant overseas assets or accounts, they may be able to otherwise avoid the labyrinth of rules under the BSA. Being a U.S. person” for federal income tax purposes, does not necessarily make the individual domiciled in the U.S. for federal estate, gift and generation skipping transfer taxes. See, Foreign Individuals and the U.S. Estate Tax (Similar to an Inheritance Tax): 2010 Tax Relief Act Provides Little Relief. This entry was posted in Social Security Tax Considerations, Tax Compliance. When does U.S. Law Oblige a Person (if ever) to use a Social Security Number? How does this impact former USCs or LPRs? This is an interesting question, which I have done a bit of research on under both the federal tax law (Title 26) and the Social Security Act. (A) Except as otherwise provided in paragraph (a)(1)(ii)(B) and (D) of this section, and § 301.6109-3, an individual required to furnish a taxpayer identifying number must use a social security number. Since all LPRs and United States citizens are eligible to obtain a social security number, they are therefore required to use the SSN as their U.S. taxpayer identifying number. However, former USCs and LPRs may never have a U.S. tax return filing requirement once they have renounced or abandoned their USC or LPR status, respectively. Interestingly, there appears to be no statutory or regulatory rule in the law that allows an individual to somehow “expunge” or otherwise terminate their SSN, once obtained, even after loss of USC or LPR status. See an earlier post, regarding What happens to your Social Security Number when you shed US citizenship or LPR status? 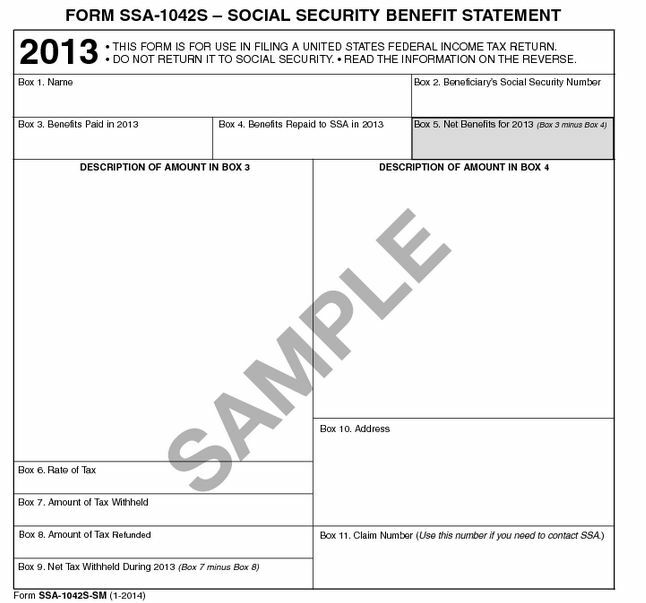 This entry was posted in Social Security - Non-Tax Considerations, Social Security Tax Considerations.